Carla Killough McClafferty - BURIED LIVES: THE ENSLAVED PEOPLE OF GEORGE WASHINGTON'S MOUNT VERNON has been released! BURIED LIVES: THE ENSLAVED PEOPLE OF GEORGE WASHINGTON'S MOUNT VERNON has been released! Review in The Wall Street Journal, "a riveting work of illustrated nonfiction." STARRED REVIEW on ShelfAwareness.com, "McClafferty's Buried Lives is long overdue, careful testimony for a new generation of questioning, challenging readers." Kirkus review of Buried Lives, "McClafferty has written a monumental book about the lives of the slaves that lived and worked at George Washington's Mount Vernon." Review by Vicki Cobb, "The power behind Carla Killough McClafferty's Buried Lives: The Enslaved People of George Washington's Mount Vernon comes from her dispassionate, sensitive, and respectful rendering of a story of people whose names we know as merchandise on a bill of sale." An illuminating look at the complex relationships between George Washington and the enslaved people of Mount Vernon, and the history still being uncovered there. When he was eleven years old, George Washington inherited ten human beings. His own life has been well chronicled, but the lives of the people he owned–the people who supported his plantation and were buried in unmarked graves there–have not. Using fascinating primary source material and photographs of historical artifacts, Carla McClafferty sheds light on the lives of several people George Washington owned; the property laws of the day that complicated his decision to free them; and the Cemetery Survey, an archeological dig (set to conclude in 2018) that is shaping our understanding of Mount Vernon’s Slave Cemetery. Poignant and thought-provoking, Buried Lives blends the past with the present in a forward-looking account of a haunting piece of American history. Includes a foreword by Zsun-nee Matema, a descendant one of the enslaved people at Mount Vernon who is highlighted in this book, backmatter outlining the author’s sources, and an index. CLICK HERE TO FIND OUT HOW TO PRONOUNCE MY NAME. ON SALE DECEMBER 18, 2018. Biographies of six, specific enslaved people who lived and worked at Mount Vernon. Based on primary source documents! This book balances cutting edge medical research with the love of the game of football. How did George Washington REALLY look? This biography uncovers the real George Washington by following the forensic evidence used to create three amazing wax figures of the man. A powerful biography of Marie Curie that deals with her personal life as well as her ground-breaking scientific work. The most amazing man you've never heard of. Varian Fry, an American journalist volunteered to go to war-torn France in 1940-and saved the lives of 2000 people. This book for adults deals with my personal crisis of faith after the death of my son, Corey. This Bible study workbook focuses on the life of David and the Psalms he wrote during times of crisis in his life. A fascinating look at the funny, crazy, sad, and helpful ways X-rays were used in the early days. And how they are used in archaeology, medicine and more. These six men changed the way we live our lives today by bringing computers into our lives. Find out how! A brief biography of George Washington that covers lesser known details of his life. Six, specific enslaved people who lived and worked at Mount Vernon are highlighted in this book. For the first time, they will move out of the shadows of history and into the spotlight. An in-depth look at the cutting-edge research on concussions, balanced with the love of the game. Find out how Mount Vernon gathered experts in the fields of science, history and art to create three figures of George Washington at the ages of 19, 45, and 57. A unique look at the most famous female scientist of all time. Imagine the year is 1940 and the Gestapo is searching for you. You are trapped in Marseilles, France, with nowhere else to go. Whispered rumors claim that an American named Varian Fry has arrived with money and visas to help refugees. He is your only hope to escape the Nazis. 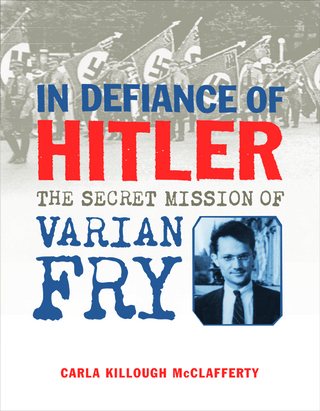 The true story of Varian Fry, an American Holocaust rescuer. This book details the Spiritual battle I faced after my son's death and how God brought me through it-and back to Him. A Christian inspirational book for adults. COMPUTER GEEKS WHO CHANGED THE WORLD! 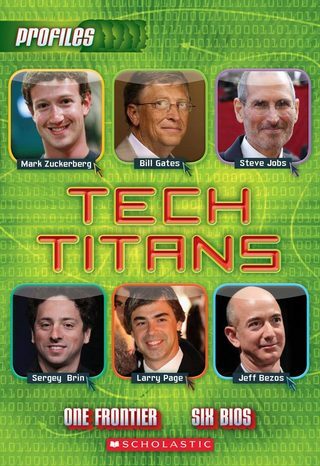 This book contains the biographies of six men who have changed the way we work, play and socialize by making computers part of our daily lives. Read about X-rays-from the days of advertising "x-ray proof underwear" to using X-rays to detect art forgeries. The Bulletin of the Center for Chidren's Books Blue Ribbon List.